Barcode Pro 8.0 for ASP.NET WebForms & MVC just released! New GS1 QR Code, Chinese Han Xin Code, IFA PPN, Artistic Barcodes and more! 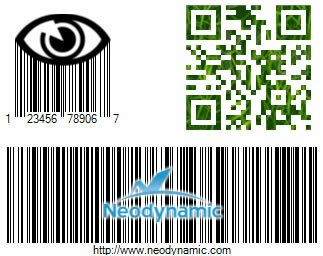 Neodynamic Barcode Professional 8.0 for ASP.NET is the most accurate & advanced barcode generator that creates GS1-ISO-AIM-Compliance symbols for displaying and printing barcode reports in ASP.NET Web Forms, MVC & AJAX projects. This new Version 8.0 features many new barcode standards including Full GS1 QR Code, 2D Chinese Han Xin Code, IFA PPN securPharm, USPS IMpb and more; as well as new artistic barcodes features, better barcode exception handling as well as a brand new dll exclusively designed for MVC; and many other improvements! This new symbologies and features make Barcode Professional 8.0 the most complete and advanced barcode generation product for ASP.NET developers brought to you by real barcode experts. What’s new in Barcode Professional 8.0 for ASP.NET? Now the barcode image can be rendered as an embedded image using Data URI feature supported by most modern browsers. ErrorBehavior property that determine what our product will produce if an error occurs when generating the barcode image like generate a Blank Image, An Image displaying the Error Message, or Throws an Exception.